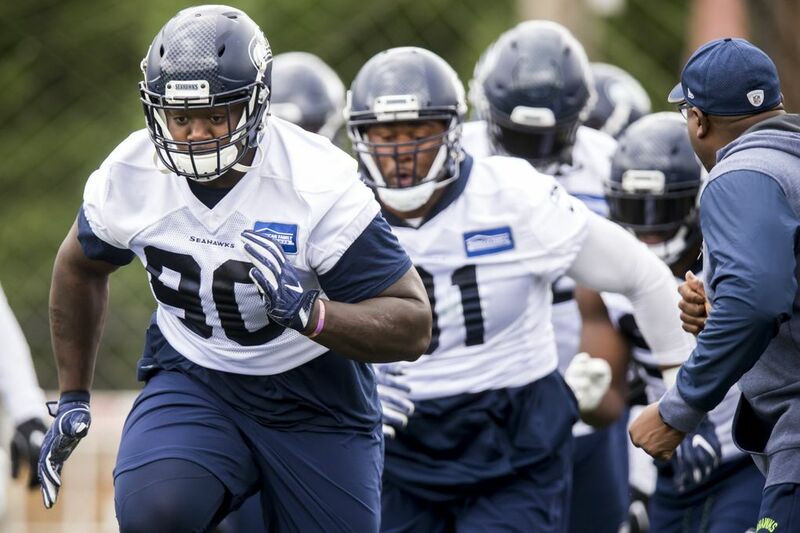 After the Seahawks wrapped up OTAs Thursday, coach Pete Carroll also revealed Dion Jordan recently had knee surgery and that there is nothing new on the status of Kam Chancellor. That and many more takeaways from camp. The Seahawks’ offseason is nearing its end. Thursday marked the last of the team’s 10 voluntary OTAs (Organized Team Activities). All that’s left now is a mandatory mini-camp next Tuesday-Thursday, after which the team will break for the summer before returning for training camp in late July. 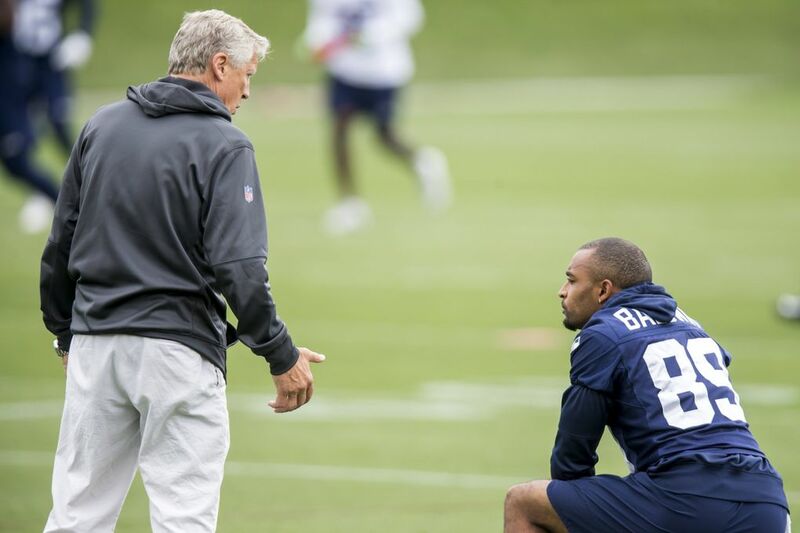 Seahawks coach Pete Carroll said Thursday that he expects every player on the 90-man roster to be present for mini-camp (teams can fine players up to $84,435 for missing mini-camp while there is no punishment available for sitting out OTAs). 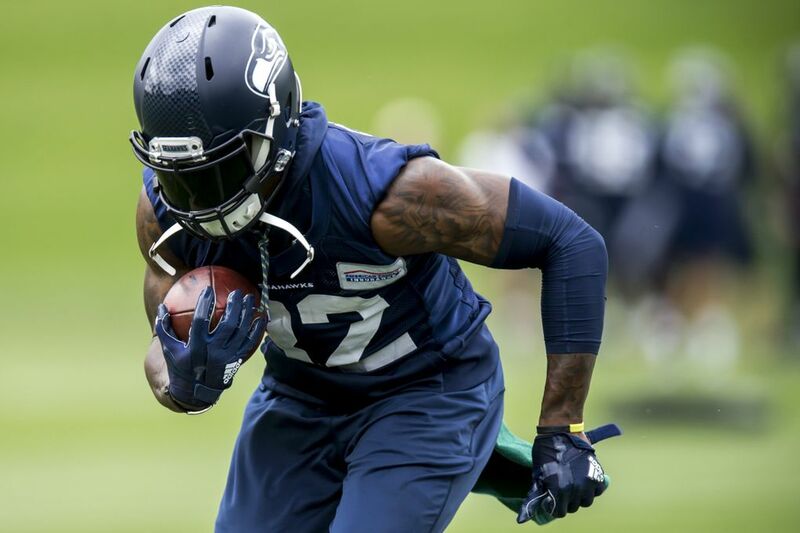 That obviously means he is expecting free safety Earl Thomas — who has not been seen at any of the team’s off-season activities — to show up, as well as defensive end Frank Clark and cornerback Byron Maxwell, who also were not around for OTAs. 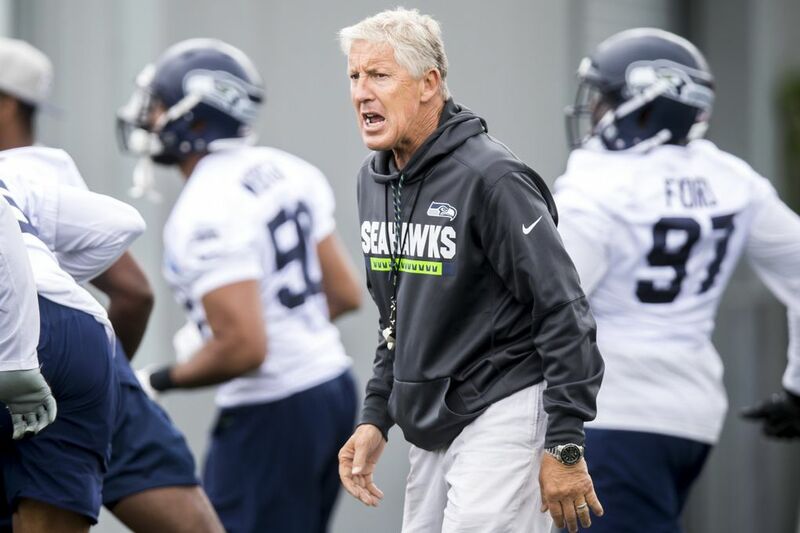 Seahawks coach Pete Carroll talks about the end of OTAs. Dion Jordan recently had a clean-up surgery on his knee but the team expects him ready for training camp. Jordan, recall, missed the 2016 season while with Miami due to an ACL injury and then had another surgery after signing with Seattle last spring. He recovered to play in five games in the second half of the 2017 season and played well enough that the team tendered him as a restricted free agent with the hope that he can step in as a starting defensive end. 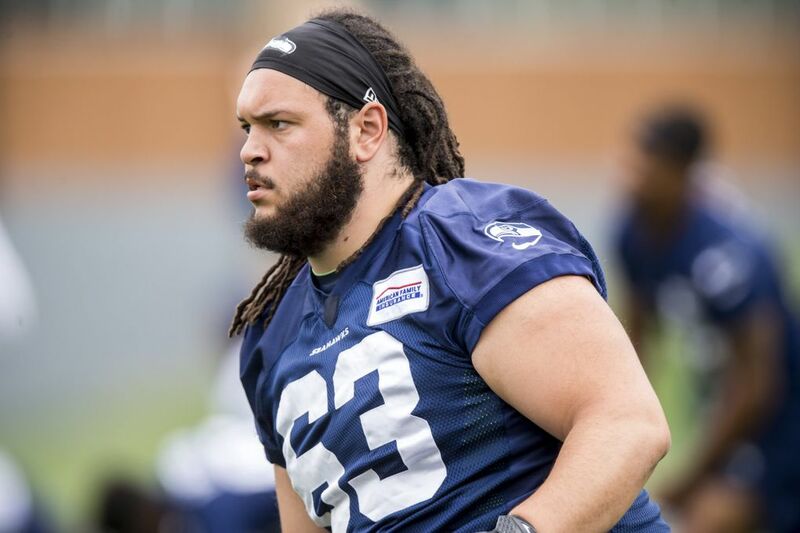 That appears to still be the hope, with Carroll saying Jordan should be ready for training camp even if he has not taken part in OTAs. 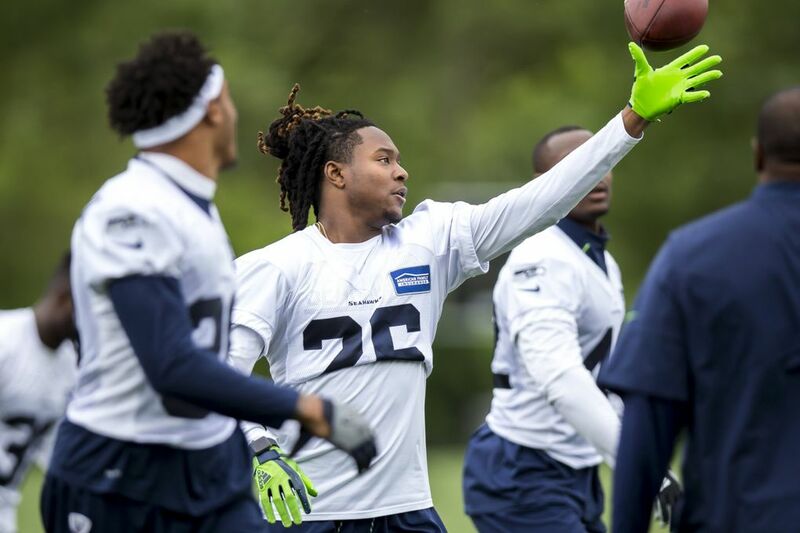 Carroll likes the way Shaquill Griffin is making the transition to left cornerback. In what is a subtle but important change, Griffin is moving from right corner to left, which his the side Richard Sherman has played since 2011. 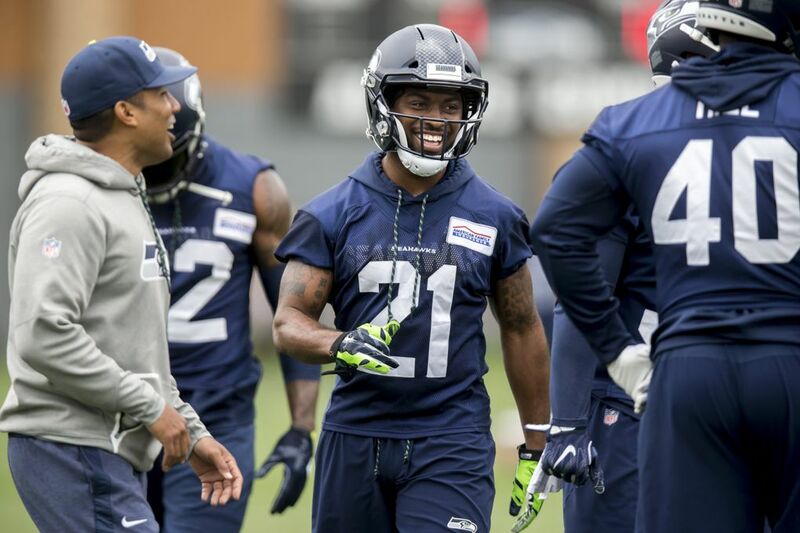 Carroll said that also allows Maxwell to go back to the right side at which he thrived when with the Seahawks from 2011-14. And so far, so good on Griffin’s side of things, Carroll said. 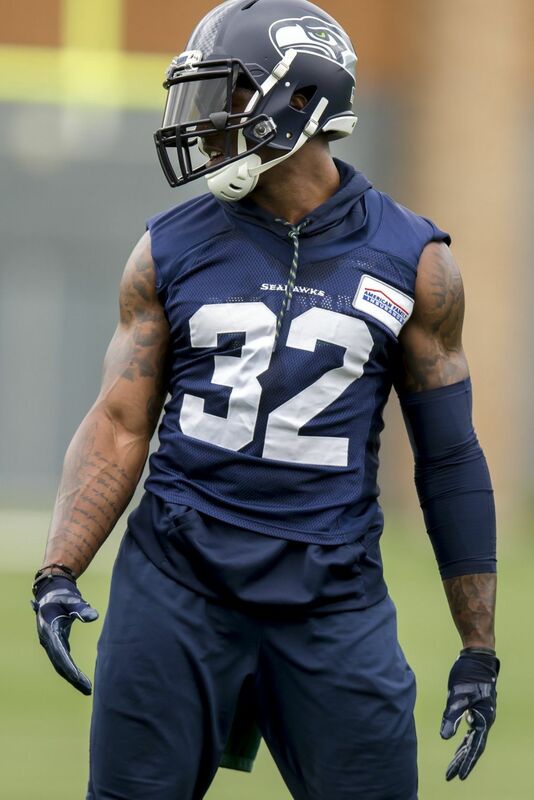 If Carroll had to pick one offseason standout, it’d be second-year running back Chris Carson. Carson became the starting tailback last season before suffering an ankle injury in the fourth game that ultimately knocked him out for the rest of the year. Carson is healthy now and also has put on about 10 pounds to get up to about the 226-227 range. Oft-injured third-year tailback C.J. 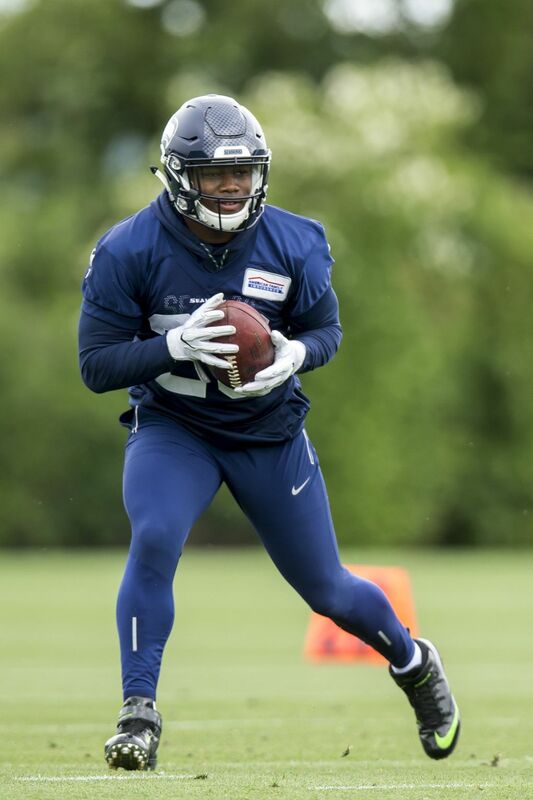 Prosise has also been an offseason standout. 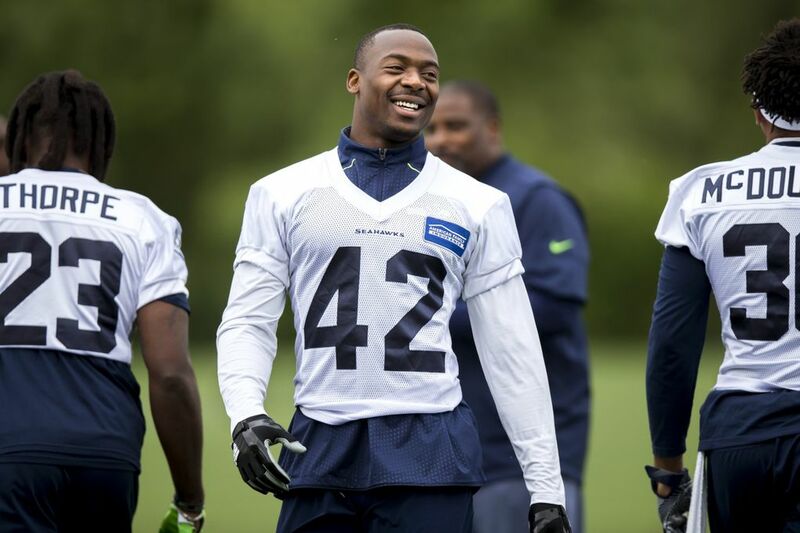 Prosise, a third-round pick in 2016, has had a frustrating start to his career with some tantalizing moments of promise overshadowed by injuries that have allowed him to play in just 11 of a possible 32 games. Offensive linemen were also part of Carroll’s group of offseason standouts. 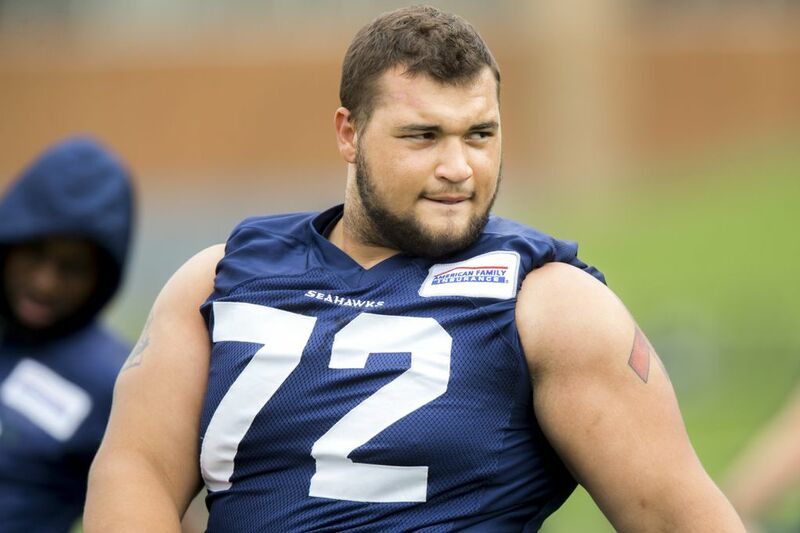 Two other players Carroll cited for their conditioning are left tackle Duane Brown and left guard Ethan Pocic, the latter of whom has added about 20 pounds. Receiver Tyler Lockett is also healthy and caught about a million passes Thursday. Okay, so that number may be a slight exaggeration. 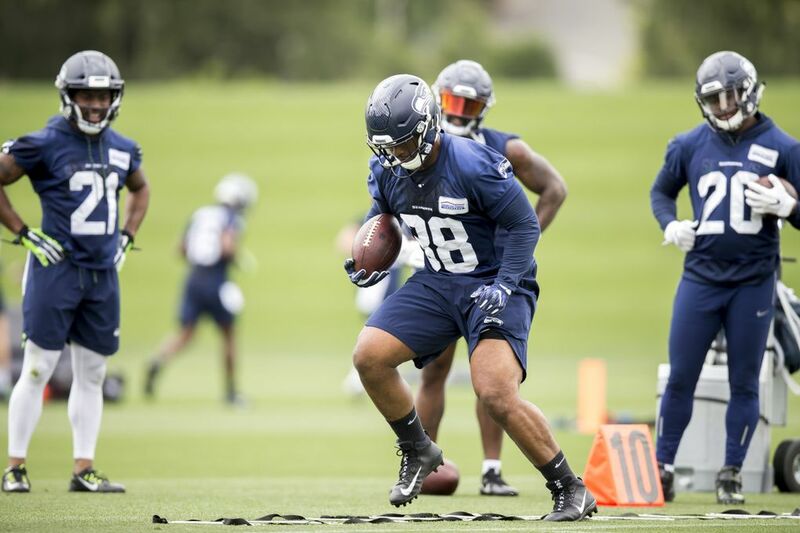 But Lockett was everywhere Thursday as the Seahawks conducted a number of situational drills (such as two-minute drills) looking, finally, fully recovered from the devastating leg inury he suffered on Christmas Eve in 2016. Lockett returned to play all of last season, but Carroll said it was obvious Lockett wasn’t quite 100 percent. But he is now, Carroll said, which could give the team’s receiving corps a significant boost. That Russell Wilson guy, and also that Doug Baldwin dude, are still really good, too. It’s easy sometimes to focus on the new in the offseason and take for granted the big names. 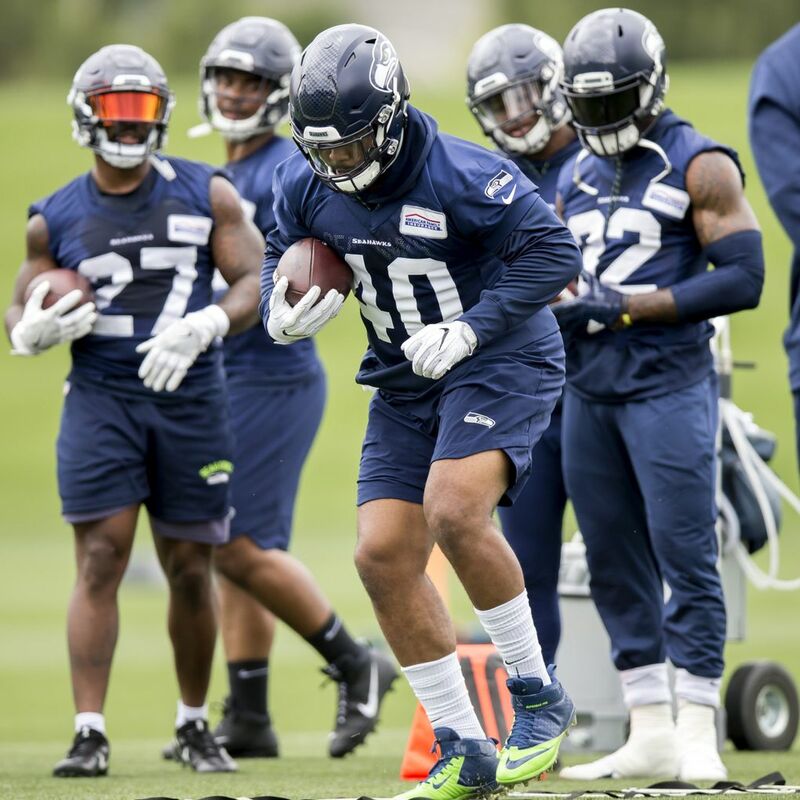 But the big names on this team are more important than ever, and the good news in the eye of Carroll is that Wilson and Baldwin, in particular, are right where the team needs them to be. Wilson threw about a 60-yard dime right in stride to Lockett at one point, symbolizing a day when he appeared on the money with everything. Baldwin has been a steady performer throughout OTAs — watching him dive for passes you wouldn’t know he’s a veteran as secure as anyone on the roster and not a undrafted rookie fighting for a roster spot. The punter competition may still take a little while. 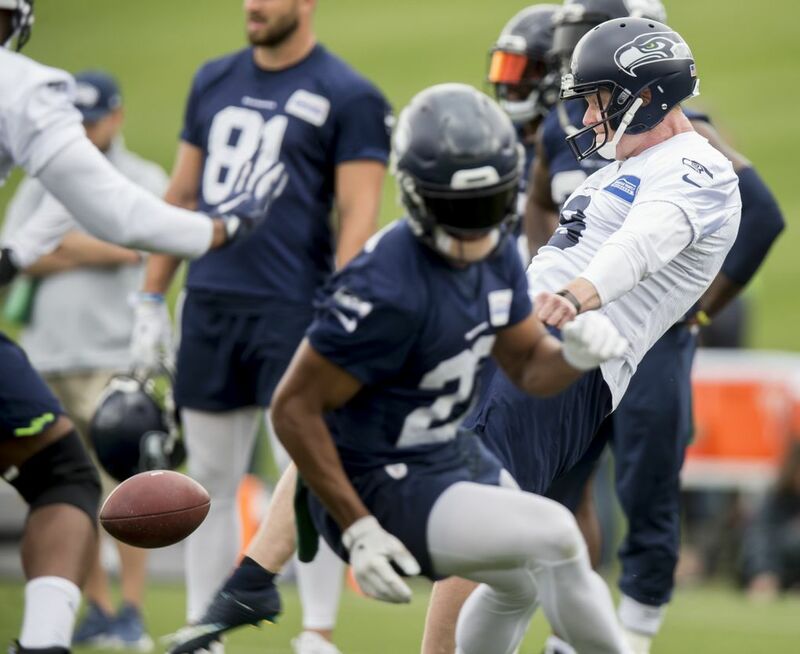 It sort of feels like a given that at some point the team will release veteran Jon Ryan — who has been with the Seahawks since 2008 — in favor of rookie Michael Dickson, on whom Seattle spent a fifth-round pick. But it was interesting Thursday seeing Ryan handle all of the holds during the team periods — holding is a duty that ideally falls to the punter and is one Ryan has manned for years. Dickson had done most of the holding in the earlier OTAs open to the media. It may have been nothing, just getting Ryan some work. But asked about the punting competition afterward Carroll said team considers it still a battle. There’s nothing new on Kam Chancellor. Chancellor will have some scans on his neck at some point this month to determine where he is in his recovery and if he has a chance to play again. But Carroll said those have not happened yet. Brandon Marshall had the day off to rehab on his own. 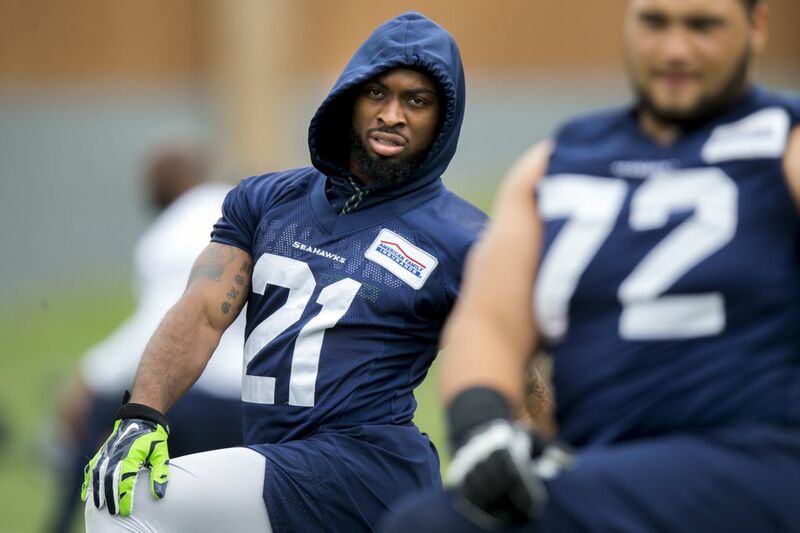 Carroll expects George Fant ready for training camp. 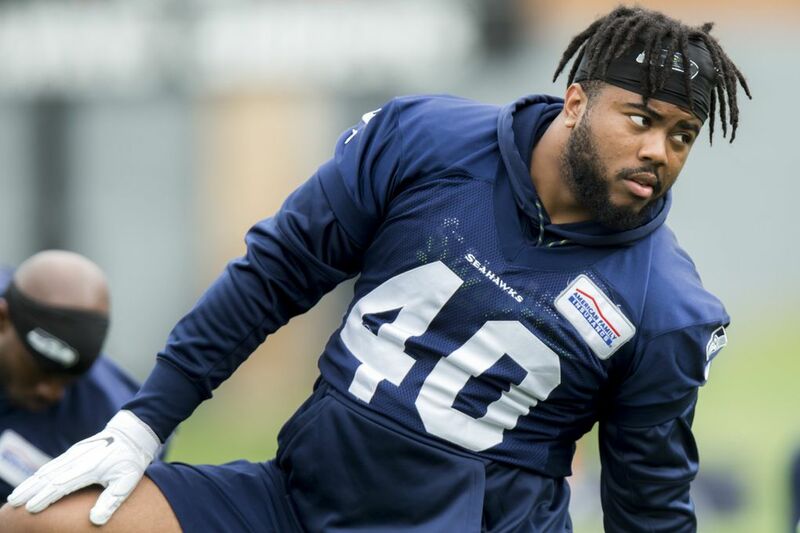 Fant who was on his way to being the team’s starting left tackle last year before suffeing an ACL injury in the second preseason game, should be ready for training camp. In fact, Carroll said Fant could probably do some work now but that there simply isn’t any reason to push it at this point. 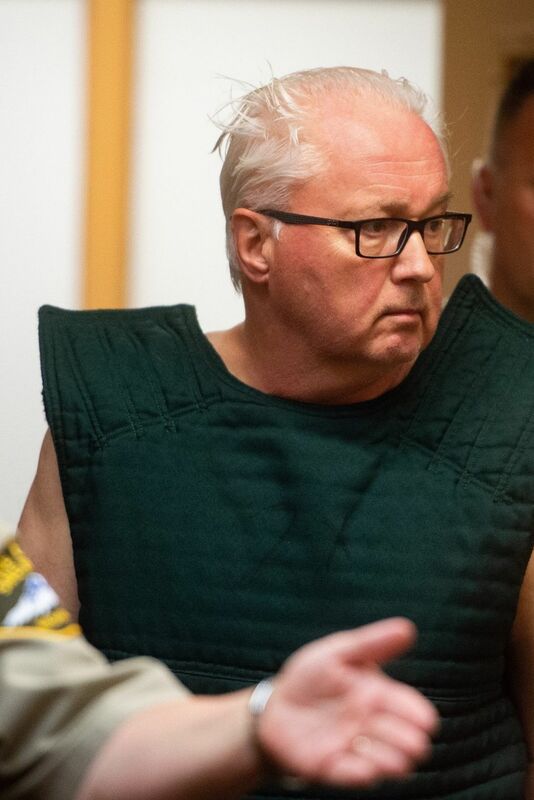 “George could probably get out there now if we needed him to, but it’s just not worth it to do that,’’ Carroll said. Guard D.J. Fluker, who had been resting with a knee issue, also was back to doing some work on Thursday and Carroll said he should do more next week. 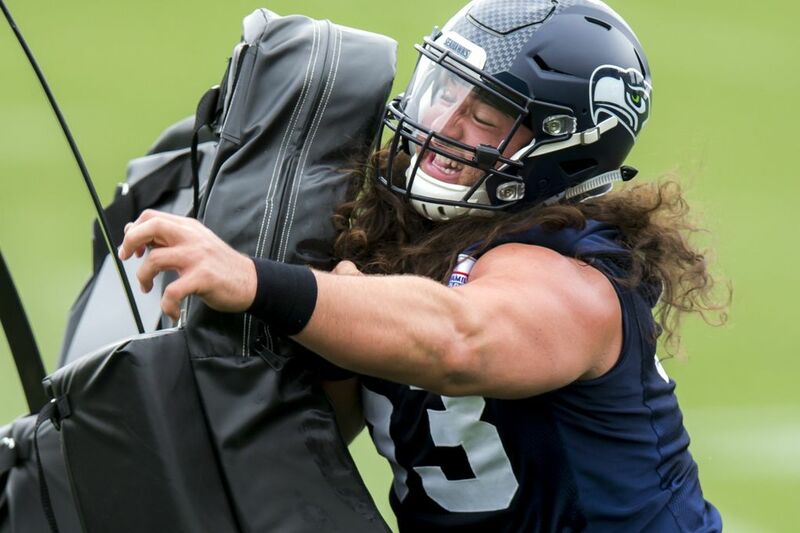 A look at Seahawks offensive line drills on June 7.